President Obama's decision to allow young illegal immigrants to stay spawned a lot of mixed reactions from the citizenry. In a CNN discussion hosted by Don Lemon, he asked why he did it only this time when he could have done it three years ago. Is this because of national elections fast approaching? Or President Obama only wanted to comply to his campaign promise of fixing the obsolete immigration system in the United States? Well, the announcement Friday earned positive praises from the Latino communities, where a lot of children who were brought to the U.S, by their illegal immigrant parents who crossed the borders from Mexico to seek for a much better life in America. However, Republicans were caught by surprise with Obama's announcement that the government would no longer deport young illegal immigrants who finished their high school studies in America, and are not more than 30 years old at the time of the president's new policy. Speaking at CNN, Maria Cardona said that the Dream Act could have been done three years ago. But President Obama couldn't do it alone to succeed in passing an immigration law that also needed the bicameral approval of Congress. Even the ruling Democrats are not unfied in their quest for a much better policy on immigration which will give legal status to young illegal immigrants in the country, she said. Some Republican, however, misconstrued the White House's move as an initiative to muddle the true process of legislation by saying that the new immigration policy was another form of amnesty. And their supporters could not control themselves by saying that the move was also another way to gain more votes for President Obama comes elections. But Obama said the change was quoted by CNN as saying that it was "more fair, more efficient and more just." 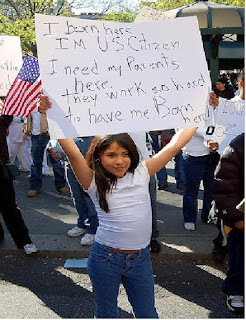 The twist is that young illegal immigrants must not have committed any criminal acts while in the United States.